What you think …you will become! 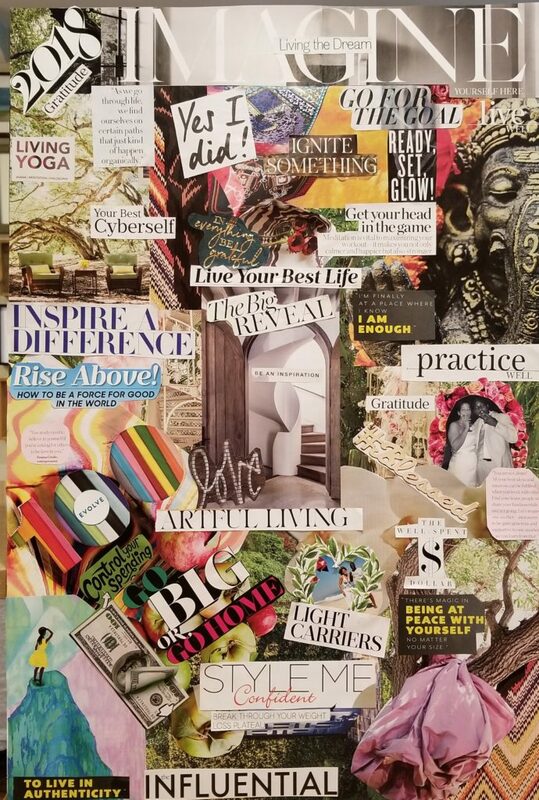 I love getting together with my girls, and the boundless possibilities that each New Year brings… so on New Years Day 2017 we got together to create Vision Boards to set intentions, and manifest what we desired to bring into our lives for the upcoming year. I had a lot of things that I wanted to focus on this year, and furiously thumbed through the piles of magazines to put together in images what I wanted to accomplish. After we finished our boards, we each shared our creation with the group and talked about why we yearned for these things in our lives. There were so many desires from love, to travel, to better money management, a new job, a deeper love of self…whatever it was, it felt great to be supported by each other as we put our energy out into the universe. I hung my vision board in my dressing room, so that while I was getting myself together every morning I had a constant reminder of my goals and desires. I was looking at it the other morning and I thought “WOW” this really helped me stay focused this year, I have accomplished so many of things that I set out to do. It’s also kind of wonderful that I had placed “The Big Reveal” at the very top of my board and exactly 1 month ago I launched my Blog! Get a date on the books with your girls and use the Law of Attraction … We had our gathering on New Year’s Day and it was the perfect way to spend the first day of 2018….our intentions for 2018 are set…how about yours? Let your board encompass of all of the things you would like to work on or manifest more of in your life, its ok to have a lot of desires or goals, they will most likely be refined as the year progresses. 2. Make it vibrant and unique to you, like a wonderful piece of art. 3. Hang it in a place that you will see it every day as a reminder of your goals desires. 4. Set timelines for yourself to accomplish the things on your board, and feel free to change or add things as your goals change. Magazines- all kinds, Fashion, Travel, Food, Beauty, Health & Fitness etc. Any other fun things like feathers or sequins…whatever you think will make you and others smile. 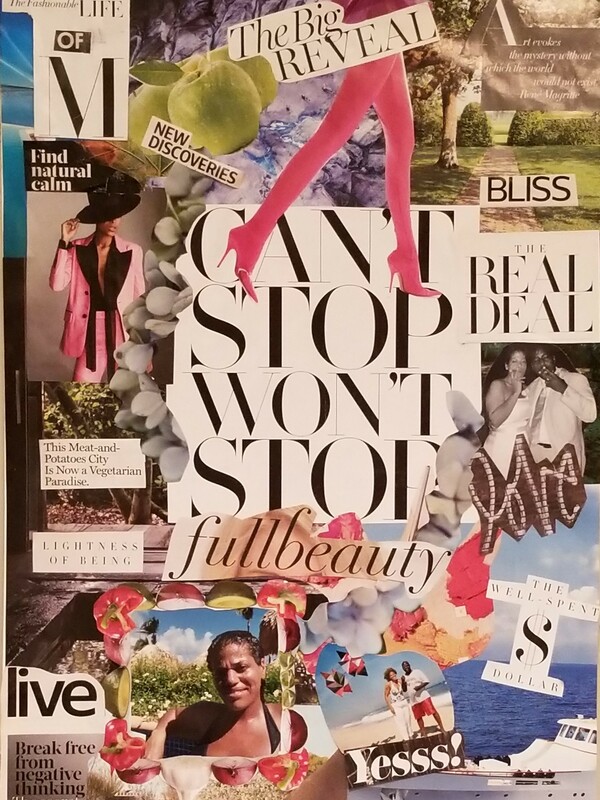 Creating my board has been the most self gratifying experience to set the tone for 2018… The best is yet to come! Positive Vibes Only. YES!!! May your 2018 Rock!